It’s an incredible time to be a basketball fan as the NBA playoffs are now in full swing. On Saturday, the Philadelphia 76ers and the Brooklyn Nets kicked off the postseason. Despite the 76ers being a heavy favorite, they ended up losing against the Nets by a score of 11-102. 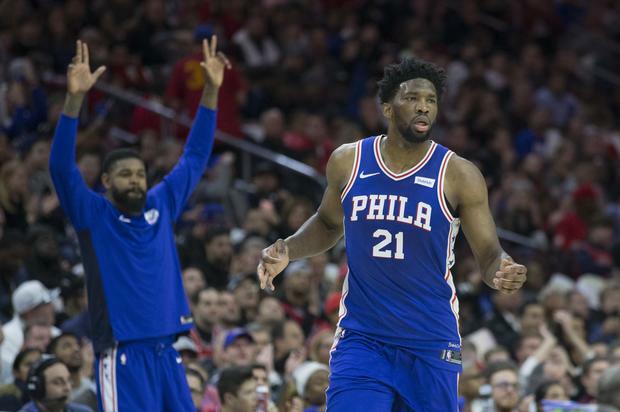 While the loss was a big story, the bigger narrative involved an incident on the bench with Joel Embiid and Amir Johnson. Both players were caught looking at Johnson’s phone in the middle of the game, which goes against team and league rules. Afterward, Embiid explained that Johnson’s daughter is “extremely sick” and that he just wanted to check on her. Johnson followed that up on Sunday, saying she’s actually fine and that he apologized to his teammates. The Sixers will have a chance to tie up their series tonight at 8 P.M. EST in Philadelphia.